Whether they have a passion for music, dance or singing, your students will always remember the fun memories they made performing and traveling together. But in Orlando Florida, the experience becomes even more magical. From marching alongside characters from their favorite movies to performing for majestic creatures of the deep, your students are sure to have the time of their lives. To make your trip just as enjoyable, we did the planning for you, finding locations perfect for large student groups that include bus parking options, workshops, educational opportunities and more. For some of your students, performing at these exciting venues will just be the beginning of their career in the performing arts, for others, it could be the highlight. Either way, we know it will be an experience they will treasure forever. Make your students’ dreams of performing at one of the world’s most high-profile venues come true on your next trip to Orlando. At Walt Disney World, students can sing, dance and play music for hundreds of guests from all over the globe. Whatever your students’ talents are, Walt Disney World has a stage for them. Dancers can perform on the Marketplace Stage at Disney Springs located between 20 restaurants and 30 shopping outlets, giving them the spotlight they deserve after all of their hard work. They will also receive the star-treatment with professional stage lighting, quality preshow facilities, a dressing room and a warm-up area. Instrumental ensembles have the option to show off their skills on stage or while marching down Main Street, U.S.A. to participate in an exciting and timeless Disney tradition. Those with the gift of song can experience what it would be like to be a Disney cast member by performing on stage for Walt Disney World guests in a truly magical experience. Regardless of their passion, their experience performing at the most magical place on earth is sure to be memorable. To further unlock your students’ potential, additional workshops are available to give students the chance to receive valuable advice from entertainers who have found success in the industry. The workshops will not only improve students’ performing skills, but also help them gain confidence and bond with others in their travel group. Then once your students are done performing, you can treat them to a fun day touring the world-famous theme parks Walt Disney World has to offer. 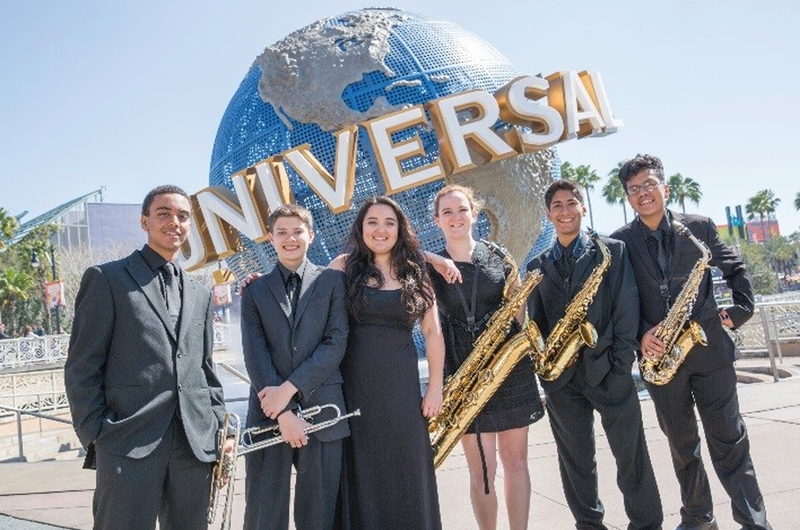 Give your student’s the star treatment with the Universal Orlando STARS Performance Program. 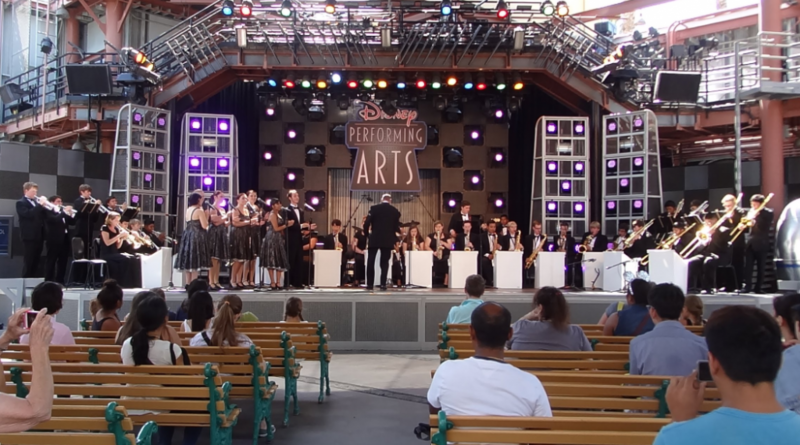 You see your students perfecting their singing, dancing and instrumental skills every day, now it is time to share their talent with the world…or a least an international audience of hundreds of Universal Orlando guests. 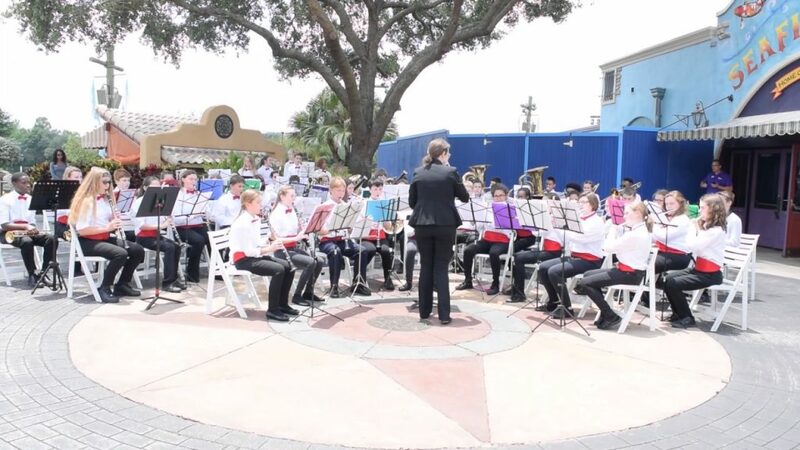 Marching bands can enjoy the year-long opportunity to represent their school by playing music through the streets of the Universal Studios Florida theme park and may even be chosen to showcase their skills in the prestigious Universal Superstar Pre-Parade to warm up the crowds. For student groups who enjoy the thrill of the stage, the Universal Orlando STARS Performance Program provides the option of performing on the covered Lagoon Stage in the Universal CityWalk entertainment complex (musical staging equipment, portable stages and percussion equipment is supplied upon request). To further enhance your student’s performance skills and ignite their excitement for their craft, multiple STARS Performance Workshops are available. The engaging workshops provide valuable advice from industry insiders to help students ace auditions or give them hands-on experience scoring an actual movie scene. To apply the performance skills taught in the classroom, students can then participate in both competitive and non-competitive music festivals and award ceremonies like Music in the Parks, Music USA Festivals, Orlando Fest and more. It’s not every day your students get to perform in front of some of the oceans most beautiful creatures. In fact, performing at SeaWorld Orlando would surely be a once-in-a-lifetime experience for most. With the SeaWorld Soundwaves package, SeaWorld Orlando’s Entertainment department will carefully select the perfect location for your students based on their needs. Performance venues include the Wild Arctic Plaza, the Waterfront at SeaWorld and a ¾ mile marching route that begins at the Shark Encounter, goes around Shamy Stadium and ends after the Wild Arctic. To make sure everything goes according to plan, a SeaWorld staff member will accompany your group throughout their entire journey. In addition, a dedicated coordinator will organize your students’ performance which means smooth sailing for you. Your students will also appreciate changing facilities, dining certificates, private picnics and provided equipment such as a CD player and sound system, chairs and wireless microphones. After wowing the crowds with their musical performance, students will get the added benefit of experiencing the exciting and educational up-close animal encounters as well as thrilling roller coasters and water rides. Located on a two-block strip in downtown Orlando, the Dr. Phillip’s Center for the Performing Arts is known as the epicenter of theatre in the city. It is also the perfect place to take your students to give them a taste of what the pros do. 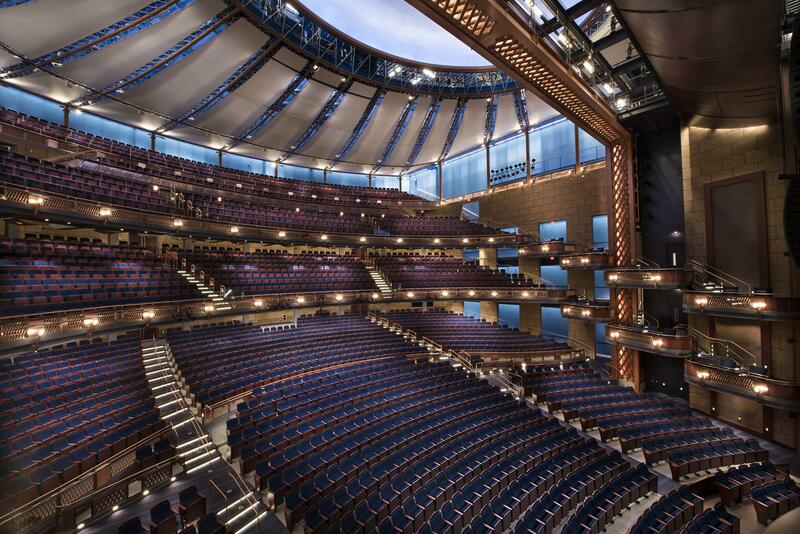 Every year, Broadway in Orlando comes to the Phillip’s Center where eight touring productions can be viewed. In addition to the Broadway performances, the center also presents concerts, dance performances, performing arts festivals and movie and documentary screenings. The beautiful center is newly designed with buildings such as the Walt Disney Theater, Alexis & Jim Pugh Theater, DeVos Family Room, Seneff Arts Plaza, Dr. Phillips Center Florida Hospital School of the Arts and more. Always keeping the audience in mind, seating in the Walt Disney Theater was designed for every seat to have an unmatched view of the stage so the Broadway performances can be properly appreciated. In addition, the theatres are handicap accessible and provide hearing assistance. After opening just four years ago, the Center’s close consideration for its audience as well as spectacular performances are what have earned it recognition as Travel + Leisure magazine’s “25 New Tourist Attractions Worth Adding to Your Bucket List” and one of Southern Living magazine’s “50 Best Places in the South Now”. The Center is not only committed to entertaining the community but also educating them. To give your students a fun learning experience, we recommend the School Series, which features performances that bring common-core concepts from history and literature to life in one-hour matinees performed by touring youth theater companies. Bus drop-off and parking can be arranged for groups attending a daytime show by calling the education department and general bus parking can be arranged by calling the group sales department. 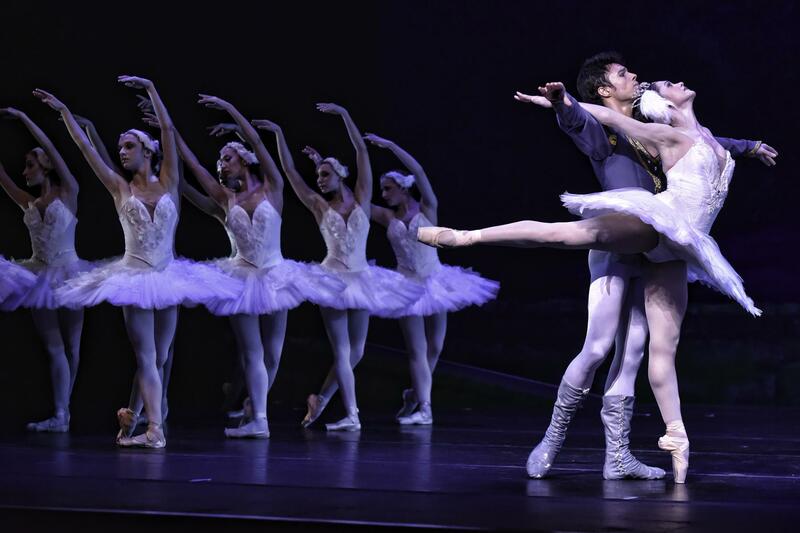 A must-visit location for your students with a love for dance is the Orlando Ballet. Founded in 1974 by twelve young, non-paid dancers with just $4,000, the Orlando Ballet is a true testament to the power of hard work and determination. Their mission statement of entertaining, educating and enriching audiences through the highest quality of dance is sure to leave your students feeling inspired. Following its humble beginnings, the Orlando Ballet has blossomed into Central Florida’s only fully residential professional ballet company with over 100,000 residents and visitors. Throughout the year, the Orlando Ballet produces Main Stage productions of timeless masterpieces like the Nutcracker as well as groundbreaking contemporary world premieres. To perfect your students’ own dance skills like the 25 professional dancers employed at the Orlando Ballet, the company offers them a variety of workshops to choose from. One of which is the Two-Day Intensive Workshop which involves 7 hours of instruction on a variety of dance genres and does not require an audition. The combination of breathtaking costumes, sets, live music, lighting design and extraordinary performances makes the Orlando Ballet a destination you cannot overlook on your trip to Orlando.